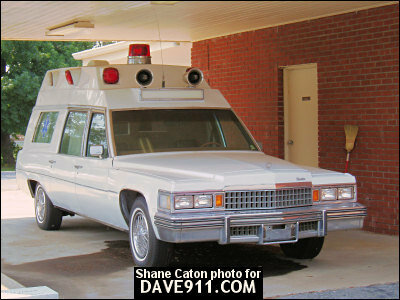 Shane Caton sent these pictures of an old Cadillac ambulance that is parked behind the Talladega Funeral Home. Nothing more is known about the unit. Thank you for sharing the pictures, Shane! Nicer than some of the wore out trucks running today. 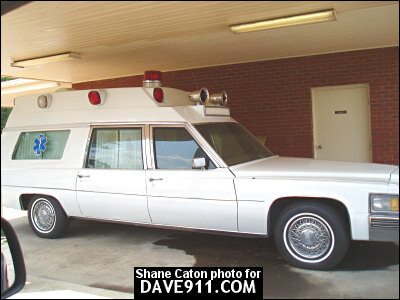 Suburban used to have one similar to this .... it was 418 I wish we had pictures of it.